NWANWT recognizes the challenges that Native Women and their families encounter when talking to government workers and other agents in place to help them. We understand first-hand that discrimination is a reality we continue to struggle against. We are here to ensure you have someone to walk with you, and be with you when you need to have your voice and story heard. Your stories provide us with the information we need when talking with policy makers and government workers to advocate for change. Your stories allow us to fight for the changes needed to create a fair and just society where all people are respected and treated equally. Last year in our Missing and Murdered Indigenous Women and Girls report, we recommended that the Child Welfare legislation and practices be reviewed as it was creating conditions that put Indigenous women and girls at risk of violence. This was echoed in the 2017 MMIWG Interim Report Our Women and Girls Are Sacred. 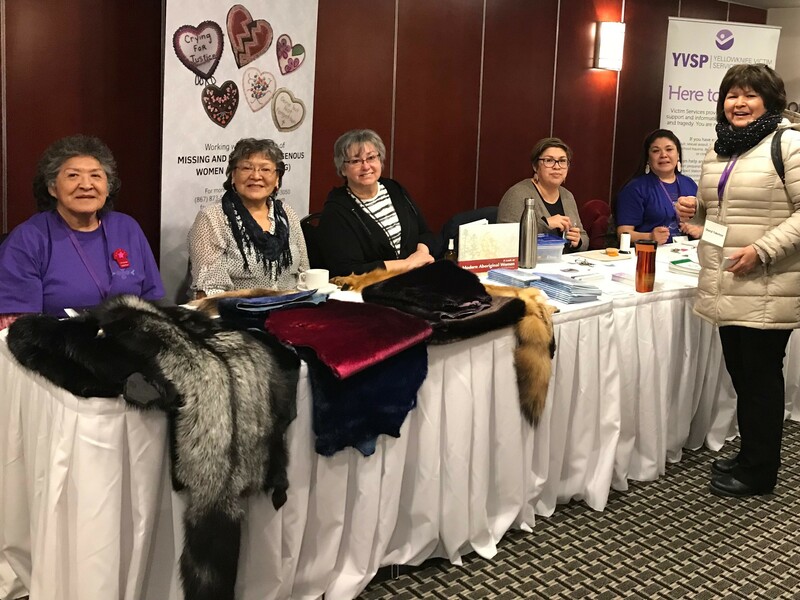 In January 2018, Indigenous Services Minister Jane Philpot hosted a two-day emergency meeting on Indigenous child welfare; she saw the system in a “humanitarian crisis”. Our voices need to be heard as we rise and advocate for change together. In order to be effective as advocates for promoting the health and wellbeing of Native Women and their families, it is of upmost importance that we are aware of best practices and trends in government priorities so that we can align ourselves with healthy forward moving energy that will lead more easily to success. It was a great step forward in 2017 when the Canadian government acknowledged that “While Canada is a prosperous country, far too many Canadians do not share that prosperity” and as such has moved forward to create a Poverty Reduction Strategy. Research allows us to gain an in depth understanding of complex issues as well as the solutions that are working in other communities and organizations across Canada to reduce and eliminate poverty and create inclusive and contributing communities. Learning from others, when paired with listening to and understanding our people, allows us to achieve our vision. The Northwest Territories is a vast land with the majority of its’ people being of Indigenous ancestry; Akaitcho, Deh Cho, Gwich’in, Inuvialuit, Inuit, Metis, Sahtu, Tlicho, and Weledeh; and each has distinct languages and cultures. Our goal at the Native Women’s Association is to hear and advocate for all of these voices. We encourage you to connect with your Regional Director and/or stop by the office or email us so that your concerns and suggestions for positive change can be heard. We need your voices to help us carve a path for a brighter future. Speaking up about things that are wrong is the only way history has been changed. We want HerStory heard and shared! A communications strategy is forthcoming, please keep connected and return to our website for updates. Homelessness and lack of safe and affordable housing is a concern for far too many people in our Territory. We are working with stakeholders in this area to create long-term solutions. It will take time, but we are confident change is coming. If you or your family are experiencing homelessness or having difficulty keeping your home safe, please stop by the office or contact us for assistance. For a national perspective and more information and current research on solutions for ending homelessness, we recommend joining the Homeless Hub, the largest homelessness-dedicated research institute in the world.